Google Drive for Android, the cloud storage service by Google, received an update yesterday that brings a helpful new improvement for those who rely on the service to access files across devices and share them with others. Version 2.2.23, which hasn’t propagated completely in Google Play but can be pulled from APKMirror (click here), includes the ability to send and/or download multiple files at once. All you need to do to select multiple files is hold down on one file, and then a blue checkmark will appear indicating the file has been selected. After that just tap the checkmark for every file you want to include and the menu at the bottom of the screen will allow you to choose what you want to do with the selected files. 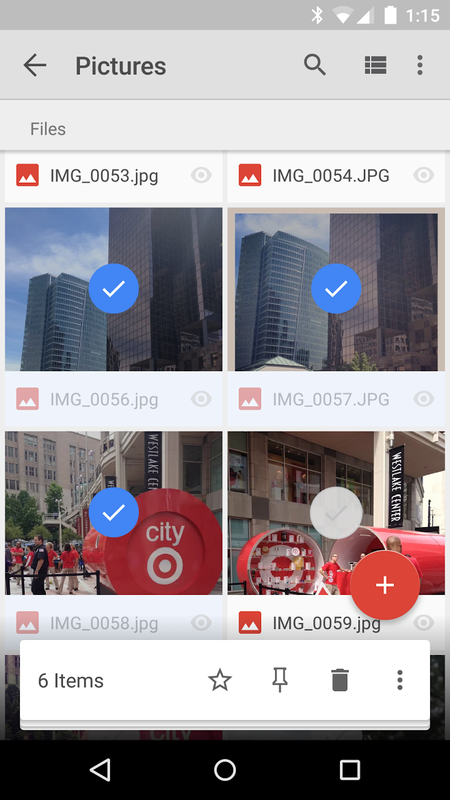 No option to download or send the files is present when multiple photos are selected (the overflow menu doesn’t include them either). To do so you had to visit the info page of each file individually and send or download from there. A nice little update that avid Drive users will surely appreciate.